This is my kitchen window, right over my sink. I love it because I can see out into the woods behind the house, and into the field beyond that. 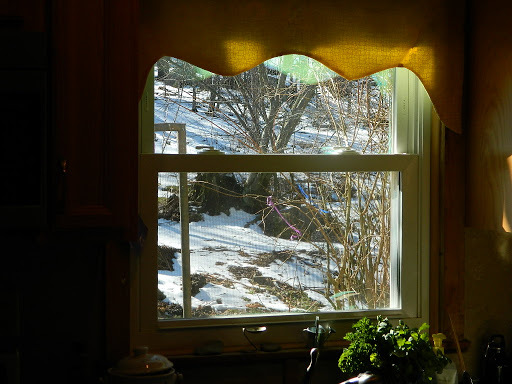 One of my favorite activities in the winter is bird watching out this window. I hung my pine cone bird feeders on the bushes behind the house alongside the other bird feeders. I have been watching birds through this same window since we moved here, 25 years ago. That is a quarter of a century of birds stopping by our feeders for a winter snack. I wish I had kept better records of the birds I have seen. 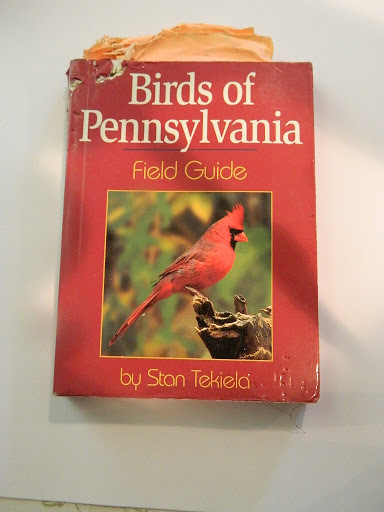 This is my original field guide to birds, and the one I still use the most. You can see that it is worn, torn, ragged and old looking. But it is a pretty cool book because in it, I have written the dates when I have seen some species of birds. It is fun to go back and look at the dates. 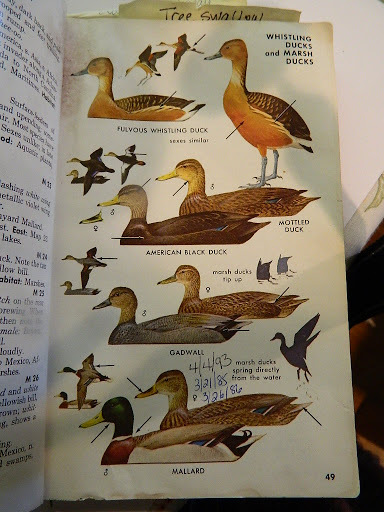 This is a page where I wrote some of the dates I saw mallards on our local lake. Think of all the data I would have if I had done this every year! Abby found a toy to chew! 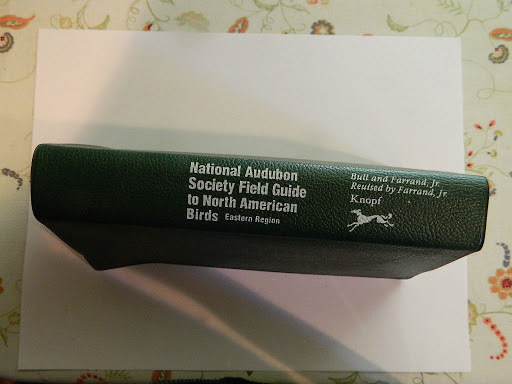 This is another bird book I use and have used quite often. Abby, our yellow lab, left her mark on this book in the upper left hand corner as you can see. I also use this book when I want a color photograph of the bird. It has beautiful pictures in it that help in identification. 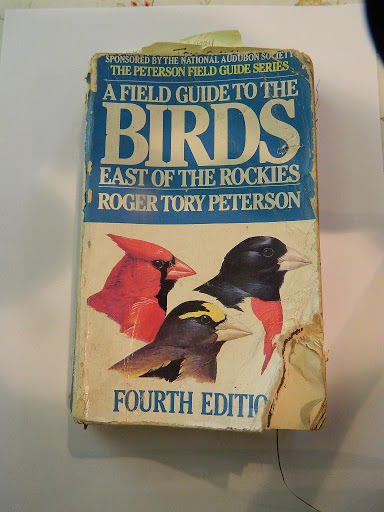 Do you have a field guide for birds? Do you keep records of what you have seen? Tell me about your experiences bird watching!